With Moss's recent freediving focus he wanted to find out if he is the world's deepest Olympian and had heard of Trinidad's, George Bovell and his impressive freediving & spearfishing abilities. 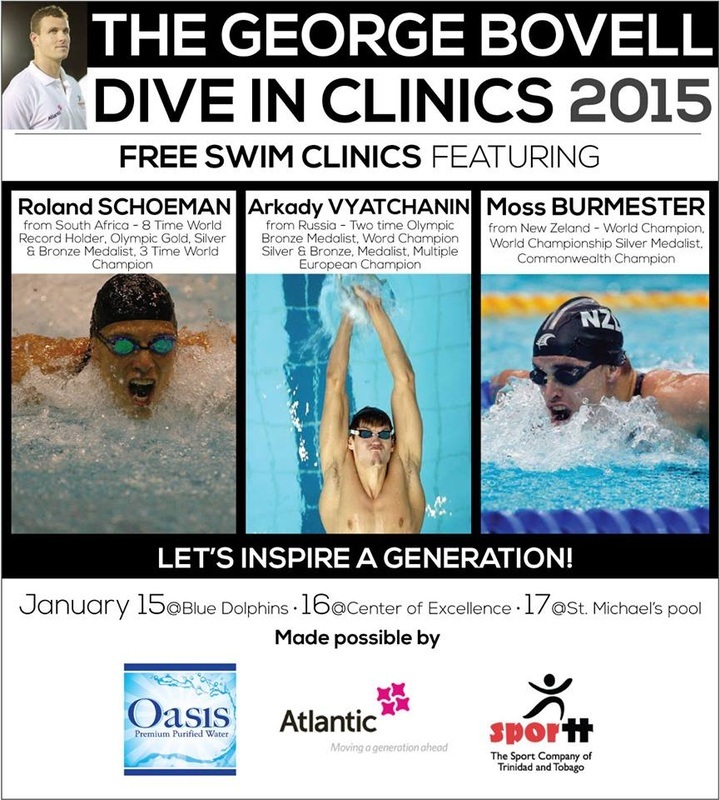 Timing was prefect as George was preparing to give back to the local community by running his free Dive In Clinics and invited Moss to be one of the coaches, along side Roland Shoeman and Arkady Vyatchanin. Moss jumped at the opportunity to help inspire Trinidad's future swimmers and kids similar to the way he has been doing with the NZ Olympic Committees - Olympic Ambassador Program.